David Lemm recently undertook a residency as Jon Schueler Visual Artist in Resience at Sabhal Mòr Ostaig, Skye. Whilst there he focussed on the idea of a new village being built on Skye and the future of the place. 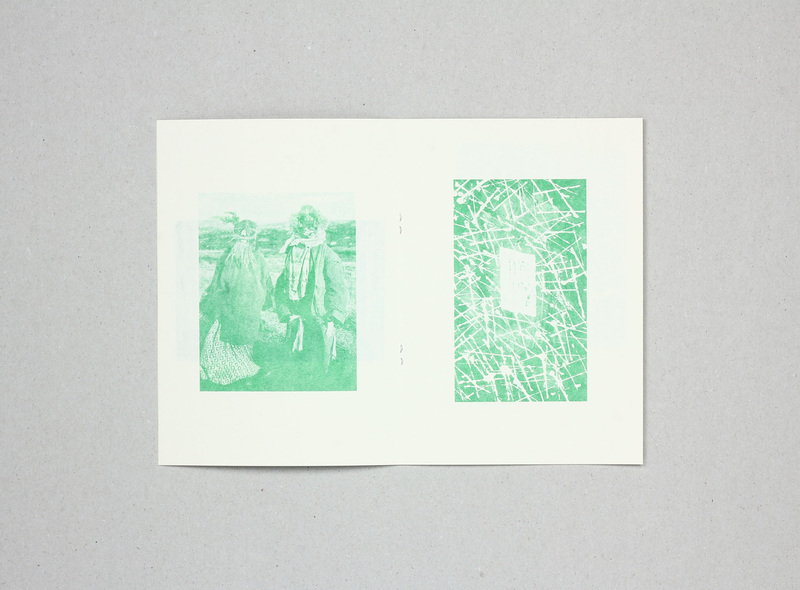 This booklet is part of a ‘library’ which catalogue various research strands exploring the imagined village of Kilbeg, under the pretence of official recordings, studies and ambiguous experiments. ‘Encounters’ appears to feature witness accounts of curious encounters which occurred around the site of the village, on the edge of Kilbeg wood in late October. To see more work by David Lemm visit his website or purchase prints and booklets here.